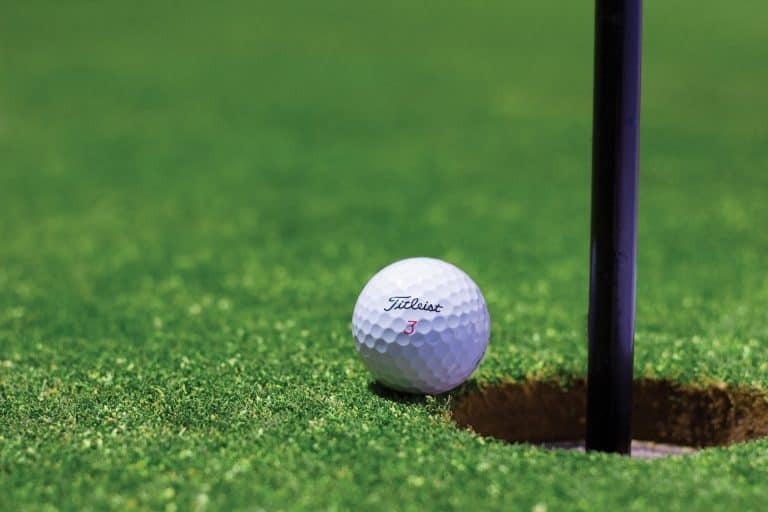 Most golfers think the kind of putter doesn’t matter…after all it doesn’t hit the ball 300 yards or spin it back on the green. Not true. Putter selection is important…even for high handicappers. If you are a beginner or have a high handicap then there are a few simple things you should look for in a putter. First, you will probably benefit from a somewhat larger putter. They tend to have a larger sweet spot. That’s as important in putters as it is in any other club. Second, you should look at putters that make it easy to align the ball. Most putting mistakes by high handicappers are related to alignment. With those things in mind, I checked out a bunch of different putters and picked the best putters for high handicappers in three different price ranges. Here are the putters I reviewed. You can click on the names below to check out the prices on Amazon or scroll down to read the reviews. These are the best of the best. Well made, great feel, big sweet spot, and easy to line up and aim. But you have to pay a little extra for quality like this. These are expensive, but they may be the last putter you’ll ever have to buy. The Odyssey 2-ball line of putters has been around for years. It was innovative and ground breaking when it first came out and it’s just as effective today. The EXO 2-ball is like the luxury sports car of putters. Not only does it look amazing but it has all the necessary tech under the hood to help you roll the ball better. The mallet style head has a very high MOI. In simple terms, that means that the distance difference between center and off center hits. So you can roll the ball more consistently. Consistent distances in your putting will result in more putts made and closer lag putts. The 2-ball part of it consists of two circles as alignment aids built into the putter head. 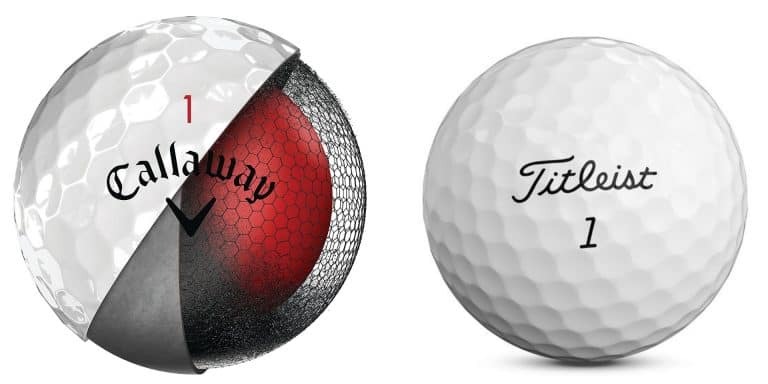 The fact that they are both the same size as a golf ball helps with visual alignment. I don’t know the science behind it but it just works. You can click here to see the current price on Amazon. Bettinardi is another well known putter company that designs beautiful putters. They are probably more well known for their blade putters but the BB56 is a great mallet putter. Just like the Odyssey, it has a high MOI. The Bettinardi BB56 uses lines designed into the putter to help you line up the ball. Whether you like the 2-ball alignment method or the lines on this putter is more of a matter of personal preference. The milled face will help you get the ball rolling smoothly and minimize the negative effects of the ball bouncing and skipping off the putter face. Bettinardi moved the stainless steel weight directly behind and above the equator of the ball at address raising the Center of Gravity which helps with consistent solid contact and proper roll, even on miss hits. This is the range where I usually look for putters. They are high quality from reputable companies but won’t completely break the bank. To be honest, if you like the look of these putters then grab one because they are pretty close in quality to the most expensive ones above. The Taylor Made TP Red/White Ardmore 3 was designed by Taylor Made based on input from PGA Tour players. The white line of putters come from Taylor Made’s research that showed that white makes it easier to see and line up. The story goes that the red option came about because Jason Day liked red. So take from that what you will. Now that we’ve got the origin story out of the way…this is a great putter. The design seems to come from a similar design by Odyssey. But there are only so many ways to design a putter so there was bound to be some similar designs. Having most of the mass on the outside of the putter head helps MOI like all of the models on this list. This model is similar to the Ardmore 2 but with a less pronounced set of “fangs” sticking out the back. I chose this one because it is a little more subtle, but if you like the design then check out the Ardmore 2 also. This is the model that the Taylor Made Ardmore may have taken it’s design from. So if you like that one then you should really check out this one. After Taylor Made’s success selling red putters, Odyssey all of a sudden had red putters. It’s kind of amusing to think that TM did all that research to decide that white was the best option but red putters became all the rage when Jason Day started draining putts and winning more. Just goes to show how fickle golfers are about their putters. There are some subtle differences from the Tayloe Made though. The Odyssey has a more angular shape. It also uses three dots as alignment aid rather than a line. It also has a different shaft design. My favorite part of this putter, and Odyssey putters in general, is the face insert. It gives you a soft feel without losing any sense of where you hit the ball. Being able to feel the sweet spot on a putter is just as important as any other club. The feedback will help you refine your stroke while practicing and will help you make adjustments on the course. As a beginner or someone that may not play a lot, you don’t want to spend a lot of money on clubs. You’d rather use the money to play more rounds or maybe for a beer or two after the round. These are great options at a good price point. Don’t worry though, they are solid putters. Wilson has a long history of producing relatively affordable golf equipment. So it’s appropriate that Wilson holds the first spot in this category. That being said, even though this putter is less expensive, it is certainly not a cheaply made putter. This putter is one of the best mallet putters you can get on a budget. It has a lot of features that the higher end models have. The milled face helps to roll the ball more smoothly. The mallet style head has good MOI to help with off center hits. Ultimately, you won’t be disappointed with this putter. I will say that it did lack the feel that the more expensive models had and it wouldn’t be my first choice if I was willing to spend more. But if this is your price range then you can’t go wrong with this putter. If you like the design of the Odyssey #7 but not the price, then this is the putter for you. Instead of covering it all over again, you can read what I wrote about the #7 above as far as the benefits of the clubhead shape. Where it beats out the Odyssey model is in the price point. The link below will tell you the exact price but this putter is consistently one of the lower priced models. I think Cleveland could have easily doubled the price and people would have paid it. But Cleveland is not a big name in putters. So they need to compete on price…and we can reap the benefits. Remember, a new putting can give you some help but it’s not going to fix everything, you should also check out my Recommended Training Aids For Putting if you want some extra help on the green.